When the Discovering Diversity Profile® (DDP) retired after many successful years, its key author and a Spectra Diversity founder, responded to market need for a new Diversity and Inclusion Assessment tool to assess employee beliefs and actions toward inclusion. Is your organization diverse and inclusive? Large companies may have Diversity and Inclusion (D&I) councils, a D&I officer and ongoing programs in place. However, they may have skipped the D&I assessment and now feel they are ready to establish a benchmark that will enable them to measure the results going forward. On the other hand, that may not be your organization. You may have a small Human Resources Department (or one HR person) and think that a D&I effort is beyond the scope of your capabilities or financial resources. Where would you even begin? You can begin by looking at your company through a D&I lens and measuring perceptions. Another common saying is that perceptions are reality. What is your organization’s reality? A small manufacturing company called a consultant to conduct diversity training, specifically dealing with race relations. The D&I consultant conducted a Diversity and Inclusion Assessment and determined that the real issue was generational – not race. Had the consultant not measured the employee perceptions, the training would not have been properly aligned with the needs. An assessment saved both time and financial resources.  The Spectra Diversity and Inclusion Assessment tool measures both the Organization and the Individual. For pricing information or to sample the assessment, contact Spectra Diversity via email or call 855-344-8688.